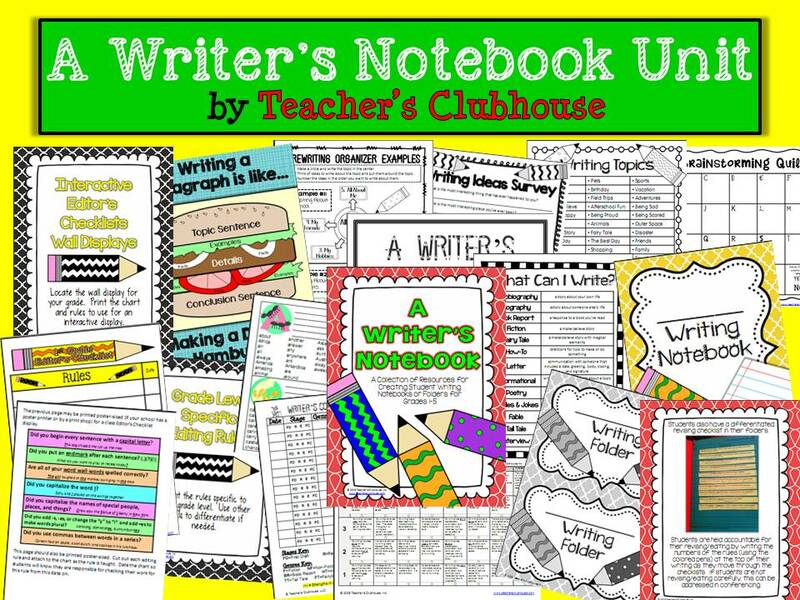 First of all, CONGRATULATIONS to Carolyn, the winner of our Writer's Workshop Notebook Pack from Wish List WINSday! We've already sent an email your way. If you didn't win, but would like to pick this pack up at 30% off (that's 122 pages of writing goodness for only $5.60! ), head to our shop now! My brain is already thinking about next year. I know your brain is, too. That's how us teachers roll. 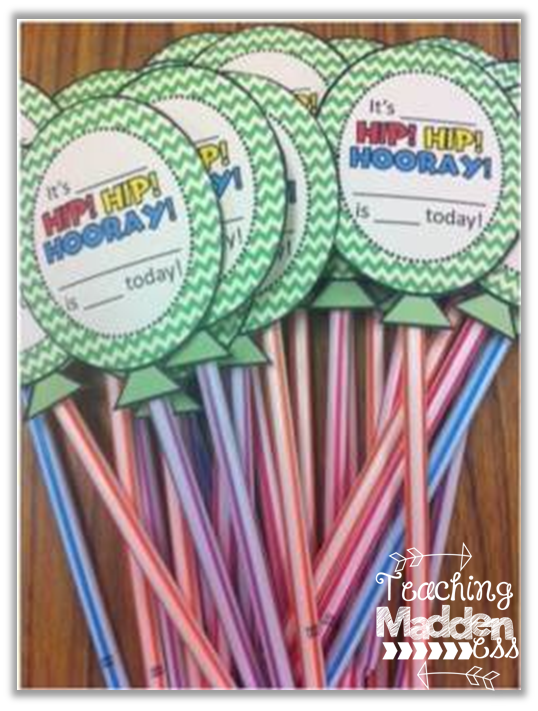 So tell me, what do you do for student birthdays in your classroom? 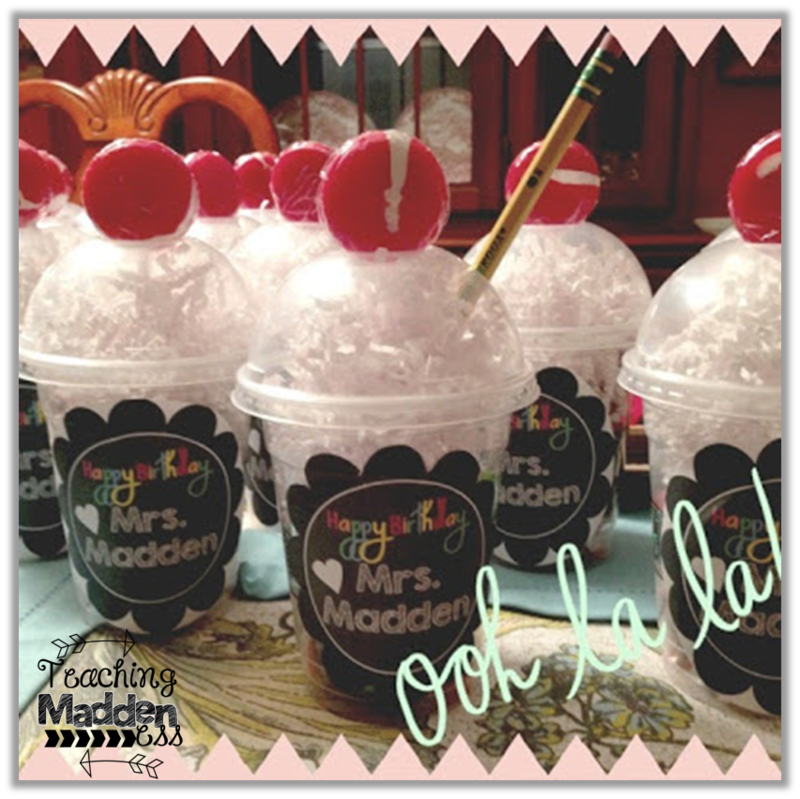 I don't like taking up a lot of class time but I definitely want something to make their day feel extra special. I mean, birthdays are a big deal - especially for kids! In the past, I've done a simple treat - such as the large pixie stix. Or, I've made them birthday cups. I'm still considering these that I did to celebrate MY birthday last year since it was on the first day of school. They were so super cute! We usually start the morning with our birthday cheer (which I LOVE as an alternative to the dreaded-drawn out-can they add any more verses to it-birthday song), let the birthday child wear a special sticker/hat/necklace, and give them their little treat....then we carry on with our day. You can download the Birthday Cheer below - If it's a boy's birthday, I let the boys lead and girls repeat and if it's a girl's birthday, the girls lead and the boys repeat. They love it as a change-up! 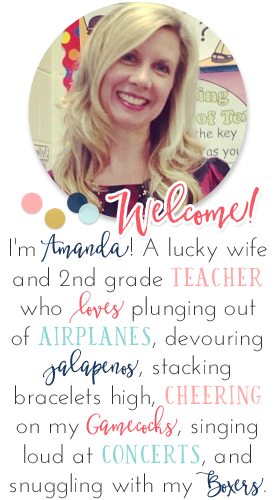 So tell me, what is your FAVORITE birthday ritual in your classroom? 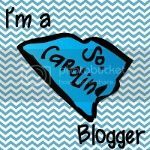 Have a blog post about it? Leave the link below - I'd love to check it out! I do many of the things you've already listed, but I do one additional thing. I let the birthday child choose from a collection of vinyl placemats (I have a variety of themes) and they get to use it at lunch time. I also give them a birthday napkin. Simple and easy and the kids love it. I used to have a Velvet Birthday Cake Hat that looked like a Birthday Cake. It had fabric candles on the top, and Happy Birthday embroidered on the side. It was really cute with bright colors. The students loved to wear it on their birthday. If you want to see it, here is a link to a picture of one of my students in the Birthday Cake Hat. Our birthday chant is: Happy Birthday! Hip Hip Hooray! _____________ is ________ years old today. Put the candles on the cake. This is how we celebrate. Now let's give a birthday cheer. One big snap for every year. (and then we count the number and snap our fingers) Then I have a singing critter where the student pushes the button and it sings a happy birthday song to them. We even performed our chant for our principal and assistant principal on their birthday too! 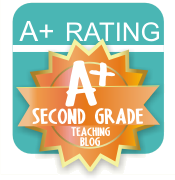 I just blogged about something I'm trying this year. In the past I've started out trying to do something special but I've never really been prepared thinking ahead this year! Love your chant! I love this birthday chant. I think I'll use it this year! I've always had a box of goodies (junk) that I let students pick out of. You know kids, they love all that treasure box junky stuff! LOL! This year I'm letting that go and I think I may use the pixie stick idea. Birthdays are my nemesis! I am terrible at them. I have never actually forgotten anyone's birthday, but I have come close! I think I will print your birthday chant and use it this year instead. I really hate the traditional birthday song. I also give them a blow pop they can have during our school day. They love it because then they have gum at school! 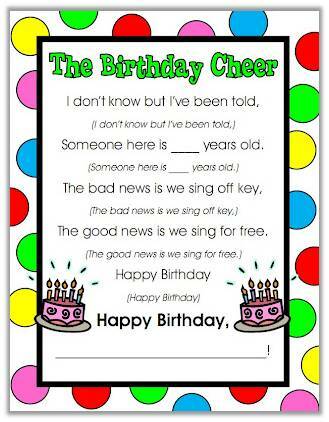 Wow, that cheer will come in very handy, I've always just asked students to sing the birthday song and it would sometimes even feel awkward. I'm looking forward to using your cheer! Thank you!